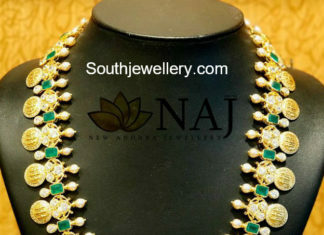 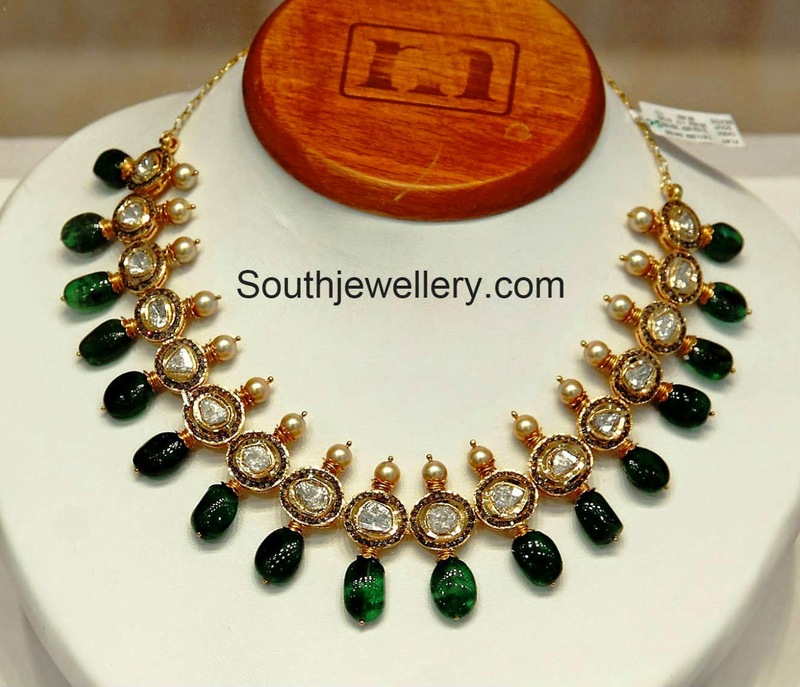 22 carat gold antique lakshmi kasu necklace with floral side motifs studded with uncut diamonds, rubies, emeralds and south sea pearls by Naj Jewellery. 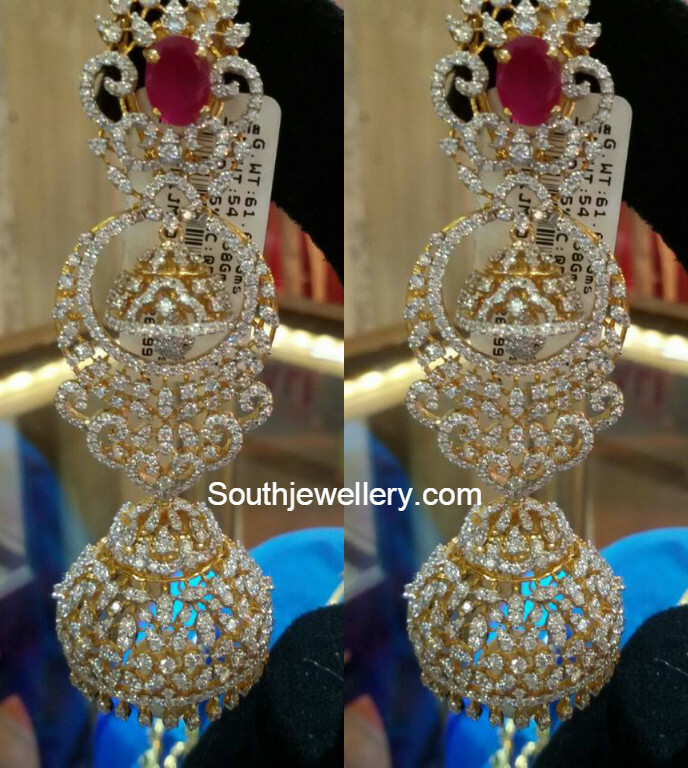 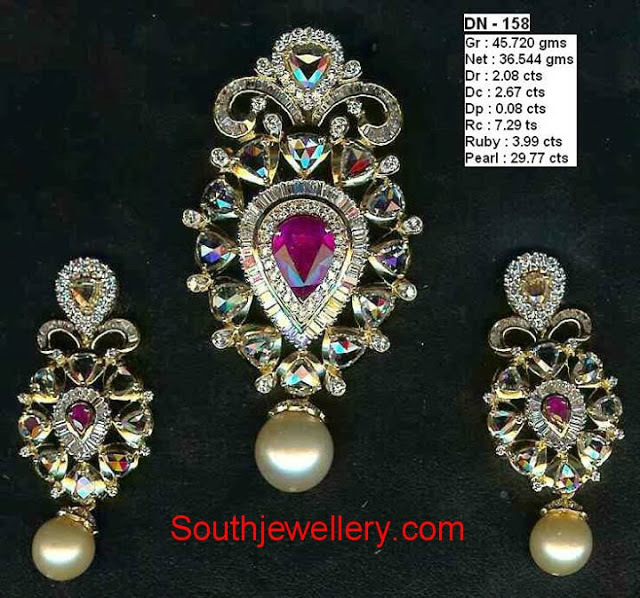 22 carat gold antique Ram parivar kasulaperu haram studded with cz stones, emeralds and south sea pearls by Naj Jewellery, Nellore. 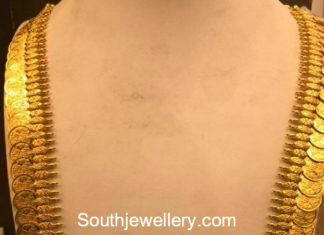 22 carat gold plain Lakshmi kasu haram by Premraj Shantilal jewellers. 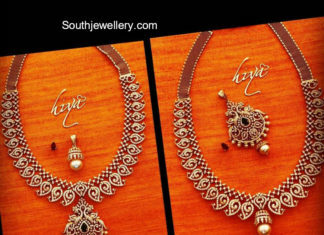 Krutika Singh in Kalasha Fine Jewels jewellery. 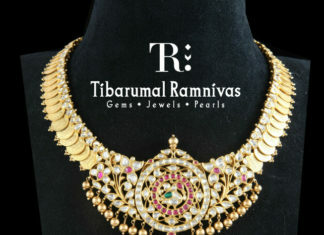 She adorned a Ram Parivar kasulaperu necklace and haram set adorned with pearls, Lakshmi nakshi kada annd heavy nakshi jhumkas. 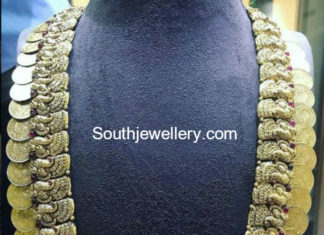 22 Carat gold peacock kasu haram by P Satyanarayan and Sons Jewellers. 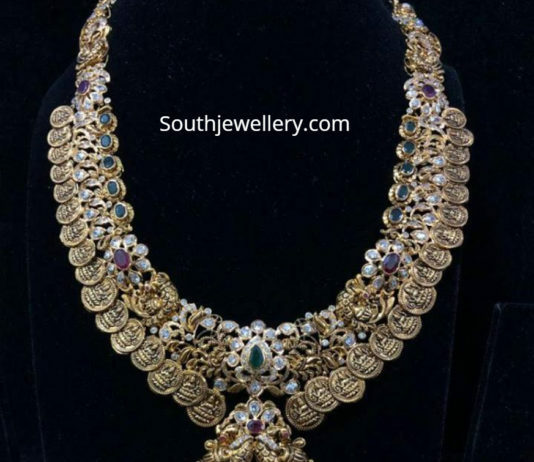 18 carat gold diamond mango necklace with detachable peacock pendant by Hiya designer Jewellery.